Nigel Bird writes gritty crime stories. He has also written a novella, Smoke. It’s about Carlo Salvino’s attempts to win back the affections of his teenage girlfriend, and injustice and misunderstanding. Nigel met me at The Slaughterhouse where we talked about his new release and the future of publishing. First of all, I just need to clear up a little of the history of the publication. It was first put out by Trestle Press at the end of last year. Unfortunately, due to some problems Trestle were having with copyright issues with covers (as well as a few other bits and pieces). Along with quite a high number of other authors, I withdrew the book from them as I felt it was in everyone’s best interest. Fortunately for me, Blasted Heath accepted the manuscript soon afterwards. In its first incarnation, ‘Smoke’ was nominated for the Spinetingler Best Novella award. It was an absolute honour and I was thrilled to be recognised by such a respected site. I’m delighted to see ‘Smoke’ back on the shelves now with the new publisher. I’m even more pleased with the new version – a serious edit upon the advice of Allan Guthrie and I know it’s sharper and better written than the first time round. It also has a fantastic cover and I have the support of one of the most exciting teams in the business. 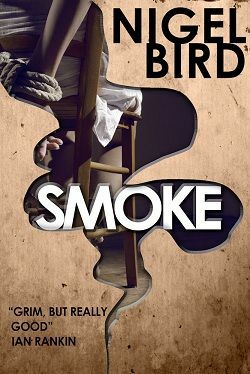 ‘Smoke’ is the follow up to a story of mine called ‘An Arm And A Leg’, first published by Crimespree and later included in the Mammoth Best British Crime Stories 8. Carlo Salvino, missing and an arm and a leg, returns to Tranent from the hospital. He’s seen the light and wants a fresh start with his ex-girlfriend (Kylie Hook) and new son. Of course there’s a complication. It turns out the child’s not his and the father is one of the Ramsay brothers, whom Carlo is still convinced ran the train over his limbs to remove them. What he needs is revenge. Meanwhile, the Ramsays are setting up the biggest dog-fighting competition in Scotland and are aiming to move on from the small town to Tranent to the bigger ganglands of Edinburgh. During the training of their dogs, Jimmy Hook (Kylie’s sister) is attacked by one of them while he’s bunking off school. He knows it was the Ramsays who were responsible and he plots his revenge, too. Eventually it ends up with a three-way feud that’s come about through misunderstanding in the main. Reflecting the mean streets of Tranent, the book doesn’t pull any punches. It’s more graphic than people will be used to from my work and it runs at a much faster paced. Adrenalin fuelled is how I’d describe it. Others have mentioned names like Guthrie and Banks and that means a lot. The feedback and reviews when it was released during that ill-fated spell with Trestle Press were spectacularly good and very unexpected. How much has Scotland influenced your writing? As a rule, I’m not sure it does. When writing is set in Scotland, as is the case with ‘Smoke’, it’s quite a bit. Tranent, where ‘Smoke’ is set, is the place I work. It was easy to tap into a general sense of the place and the people I wanted to bring to life, yet the rest if from an internalisation of my experience. That’s about as far as I think it goes. The biggest sense I have of influence is that of being in contact with some amazing talent from these shores. What that gives me is a sense of belonging, a need in me to be tribal against my general instincts to be a lone wolf. That’s a fine asset indeed. My novel, ‘In Loco Parentis’ is something I’m proud of. I released it a few months ago, which is keeping me busy. I recently had a promotion with that which was very successful indeed. I’ve some short stories in a few anthologies too (Protectors, Both Barrels and Crimespree 11) which I’ve enjoyed and am very proud of. I’ll also be putting out a novellette soon called Mr Suit. It’s a deviation for me in some ways. 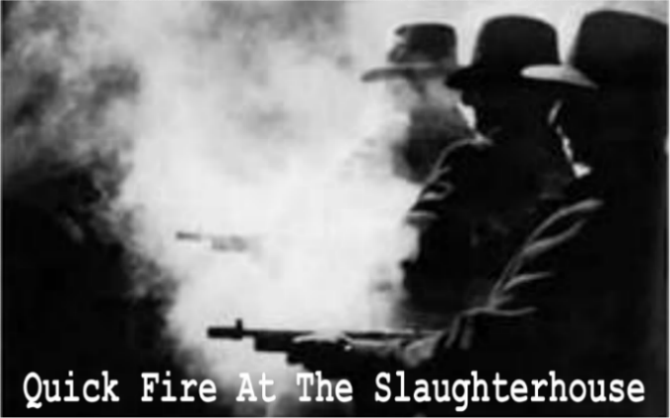 It’s possibly as close to being a Tarantino farce as anything else I’ve put together. Essentially a gangster is shot in the head and now suffers from Locked-In Syndrome. The gangster (ARCHIE), his wife (LIZA) and his boss (MR SUIT) all want the misery of his life to end, so they set out to employ a kind of euthanasia. It’s a farce, so of course things go wrong. Liza and Archie head off to escape on their canal boat at the heady speeds of 5 miles per hour. Mr Suit had other ideas for them and lures them back into a scenario that’s supposed to benefit everybody. It’s pretty raw and hopefully rather entertaining. Mr Suit sees the end of a short break for me. The enforced rest was mainly due to burning candles from both ends. Three ends, if that’s possible. The energy taken to write and to promote has been huge. It’s also on top of looking after and attempting to enrich the lives of my three children and being sapped by the day-job. I guess that it was about regrouping. I tried to absorb as much fine and interesting art and craft as I could just now, which was a great pleasure. I recently watched the Danish version of ‘The Killing’ series 1, I have a little more time for reading and I’m able to watch an occasional film. The idea is that these influences will merge, percolate and penetrate my being so that when I come to write my next long work I’ll be full of juice. My intention is to write something with a bigger scope; a stronger gravity; lots of undertow just under the surface for a reader to swim over or to become overwhelmed by as they please. I want more from myself and for the people reading my work. It’s an ambition I’m not sure I’m up to, but I’ll be giving it a try when the winter really takes hold – I know I can sweat, so all I need is that 1%; here’s hoping. What do you see as the future of publishing? Essentially, I see a future that isn’t so different from the past. E-book publishing has had a massive effect on the world of writing and publishing. It’s been liberating for many and intimidating for some. Now things seem to be settling and what I believe we’re seeing is the return to the old regime, slightly altered as it may be. Publishing is a business. An industry. It needs to make a profit and shareholders in companies want to make as much profit as they can. For that reason, the bigger publishing houses will do various mergers and plough money in to e-books until they regain their positions. For those that don’t make it, they may well have only themselves to blame. The names of the biggest publishers will be different. They’re likely to be companies who are more associated with technology than books – the Googles and Apples of this world, not to mention the leaders in the field from China and India. I suspect that the best-selling books will continue to be of a similar type to the way they’ve been for a while – World Records, Biographies by celebs, coffee table books, the thousand ways one can freeze a chicken, cookery books and the like. Speciality books will remain for those who are in their own niches. For fiction, there will be a difference. Self-publishing will continue to have a presence. Unlike the self-publishing efforts pre-ebook that I believe were general slightly radical in the sense that they were things publishers wouldn’t touch or were challenging commonly held ideas, they will likely become more mainstream (for it’s in the main stream that the big fish swim). Some will stick at it for the love of writing and because they write stuff that won’t ever make much money (and therefore is unlikely to be published by the bigger companies). Agents will find their roles altered from the talent-spotter with a deep understanding of what is likely to work will become more concerned with the legal side of the business – making sure contracts work in favour of authors, for example. Publishers will be able to sit back and watch the market. They’ll be able to pick authors by cherry-picking from the self-published writers who are selling. There’ll be a bigger place for translations as books become saleable by the same company across the world. Studying languages might become a canny move for those so inclined. There’ll be a much more interactive element to many books, too. That will play into the hands of the technology savvy. People like me will plod on and write and publish and try and find publishers. Some of us will make it. I suppose that it might be said that the wolf is likely to be the same, but the clothing is likely to be different. That might sound a little negative. Perhaps so. It doesn’t mean I think it’s hopeless. Great books and awful books have been published for many years and that will continue for many years to come. Whatever the future holds, I’m pretty excited about the whole lot of it and look forward to reading the kind of thing I enjoy. I have a wish that some of those I follow will get the chance to follow their writing dreams (that probably means to be able to write full-time without being overly weighed down by promotion and sales effort; not having to worry about scrabbling about at the end of or before a day’s work; and not having to compromise on the stories they want to write). Proud to say I’ve read every word Mr. Bird has written and prouder that there’s never been badly written word in any of it. From tragic to comic and beyond, Nigel’s got the goods. He touches most every chord in the human heart. I want to pick up Nigel’s work after this. Fantastic interview. Great stuff. Glad to see Nigel continuing to put out cracking stuff. Good stuff — and I think you may be right about the publishing industry. Despite all the touted radical changes, the differences haven’t been all that huge, more in the nature of the shifts you mention. Look how quickly the self-publishing successes get picked up by the corporations. I don’t blame them — I’m far too lazy to self-publish. Thanks to all of you for coming and taking the time to comment. I’d also thank AJ for not only reading all my work but for offering suggestions that have made it better. Best to you all and cheers Richard. Sharp insights from Mr. Bird. Looking forward to Mr. Suit. I spent one day in Edinburgh and vowed that I would go back and spend time there some day. Scotland got a hook in me. Glad Smoke got a second chance, I hope it finds a wide audience.